What a fantastic performance! Fedor Konyukhov and Ivan Menyaylo have just landed after spending more than 55 hours in the air. The pilots took off on Tuesday morning [February 7] from Rybinsk, Russia, in a bid to break the long-standing world record of duration in a hot air balloon (9 000 to 12 000 m³). This record has been held by Michio Kanda from Japan since 1997 (50h 38 min). 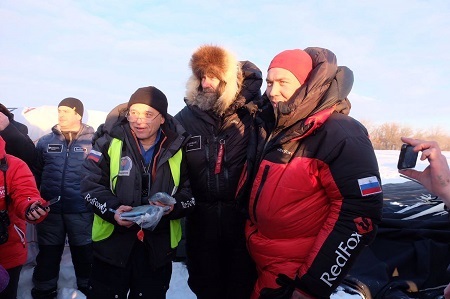 Fedor Konyukhov and Ivan Menyaylo and members of their support team. The crew traveled more than 1000km in the sky of Russia before landing near Krasny Kut, where they were welcomed by the ground support team. Adventurer and priest Konyukhov is well known for achieving a record-breaking solo flight around the world in a balloon last year, for which he was named FAI-Breitling Pilot of the Year. Fedor Konyukhov and Ivan Menyaylo. 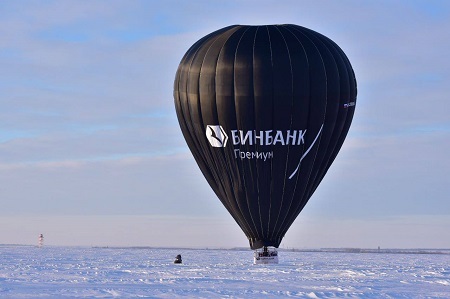 For this new flight Konyukhov paired with another experienced pilot, Ivan Menyaylo, who is the current holder of the duration record in the category of hot air balloons from 3 000 to 4 000 m3. The FAI is now waiting for the official claim to be sent in by the FAI Official Observers in order to ratify the record. 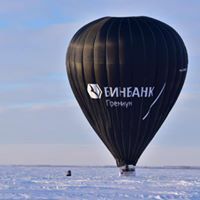 This entry was posted in Balloons, Hot Air Balloons and tagged balloons, FAI, Fédération Aéronautique Internationale, Fedor Konyukhov, Flight duration record, Hot air balloons, Ivan Menyaylo. Bookmark the permalink.